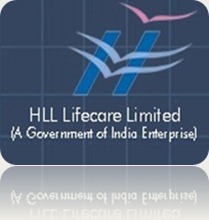 HLL Lifecare Limited | Government Jobs | Site Supervisor Recruitment | December 2010 | Last Date: 5 January, 2011 | Apply Online. 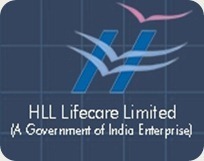 BE/ BTECH (Civil) required in HLL Lifecare Limited. Job Location: Any where in India. Educational Qualification: BE/ BTECH (Civil Engineering) from a recognized University. Posted in Apply online, Civil, Government Job, Job After Btech, With experience. Tags: 2011., Apply online, December 2010, Government Jobs, HLL Lifecare Limited, Last Date: 5 January, recruitment, Site Supervisor on December 24, 2010 by kavita joshi. Hindustan Antibiotics Limited | Dy. General Manager/ Manager/ Trainee Management Recruitment | Government Jobs | December 2010 | Last Date: 5 January, 2011. BE/ BTECH (Chemical, Electrical, Bio chemical)/ MCA required in Hindustan Antibiotics Limited, Pune. Hindustan Antibiotics Limited (HAL) is the first drug manufacturing company to be set up in the public sector by Government of India with active co-operation of WHO and UNICEF. Set up on 10th March, 1954, HAL is the first drug manufacturing unit in India to undertake commercial production of antibiotics like Penicillin, Streptomycin, Gentamicin, Ampicillin & Amoxicillin etc. HAL has diversified in formulation activity and has facility to manufacture various dosage forms - injectables, capsules, tablets, large volume parentrals, liquid orals, etc. conforming to pharmacopoeia standards. HAL has also diversified into agro-vet products.Our R&D has the distinction of being the only laboratory in the public sector in India which has come out with its own discoveries Viz. Hamycin for Skin infections and Aureofungin for plant fungal control. Educational Background: BE/ BTECH (Chemical Engineering, Bio Chemical, Chemical Technology) from a recognized University. Posted in Chemical, Electrical, Government Job, Job After Btech, MCA, With experience. Tags: 2011., December 2010, Dy. General Manager, Government Jobs, Hindustan Antibiotics Limited, Last Date: 5 January, manager, recruitment, Trainee Management on December 23, 2010 by kavita joshi.